Healthy forests and watersheds go hand-in-hand with healthy, prosperous communities and abundant wildlife. Forests also provide outdoor recreation opportunities and vital habitat for fishers, elk, spotted owls, marbled murrelets, salmon, bull trout and a variety of other iconic and imperiled species. A flagship program since our founding, we advance the use of the latest scientific research and engage collaboratively with other stakeholders to promote landscape-scale restoration of forests and watersheds. We apply our field experience to shape national and regional policies through lobbying, media exposure, court rulings, and public support and involvement. We maintain forest staffers for the Mount Baker-Snoqualmie, Okanogan-Wenatchee and Colville national forests. Our Central Cascades Watersheds Restoration program also conducts focused work between the Alpine Lakes Wilderness and Mount Rainier. And ensuring thorough logging road closures as appropriate. We also work closely with the Washington State Department of Natural Resources, Washington Department of Fish and Wildlife, forestry companies and other organizations to promote ecological management and resilience on state forest lands, including State Trust Lands and special places such as the Loomis State Forest, Blanchard Mountain and Lake Whatcom. We believe that the Washington State Constitution directs the state to manage its granted lands with a balance of benefits to both the public and beneficiaries. We pursue opportunities to both uphold this principle on-the-ground and establish it in law and policy. We expect state trust lands to benefit the public’s interest in clean water and biodiversity, including the needs of endangered wildlife species, as well as trust beneficiaries. Collaboration is a vital tactic for creating durable conservation progress. We are proud to be a part of numerous ground-breaking coalitions that address issues crucial to wildlife, wildlands and people. For a full list of coalitions and collaboratives we’re involved with, please visit our Coalitions page. As part of our Forest Field Program, we’re actively involved in the Northeast Washington Forestry Coalition, North Central Washington Forest Health Collaborative, Tapash Collaborative, Chumstick Wildfire Coalition, Washington Prescribed Fire Council, Washington Watershed Restoration Initiative, Washington Wildlife Habitat Connectivity Working Group, and serve on Washington’s Forest Health Advisory Committee. Read more about our work in forest collaboratives on this page. Ecologically restores national forests, while supporting efforts to conserve wildlife habitat and working forests on private and state lands. Joins coalitions to work closely with communities to protect and restore forests while also benefiting rural and other communities. We pursue actions that restore ecological resilience in dry forests in Eastern Washington, expanding the use of prescribed fire and road decommissioning. Protect and restore the distribution and abundance of large, old tree habitat across the landscape, and other ecological drivers such as fire and basin hydrology. Works with state and federal agencies, elected officials, local residents and other organizations to push for state and regional policies on wildfire that support forest resilience and community preparedness. 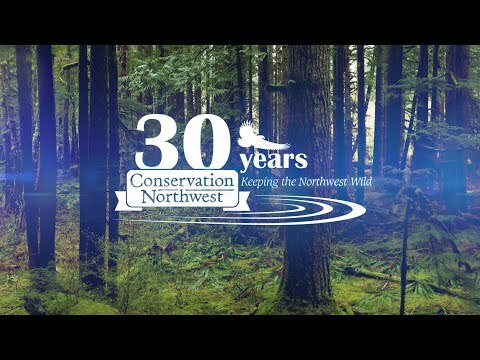 Support Washington State Department of Natural Resources 20-Year Forest Health Strategy to improve ecological resilience of federal, state, and non-federal forests and watersheds. Works with local communities and other groups to protect large snag habitat, while also respecting the needs and desires of people and communities to sustainably harvest firewood. Decommission unsustainable and out-of-use roads and restore and secure both forest and aquatic habitat. We also participate in the Washington Watershed Restoration Initiative and other collaborative efforts to reduce the impact of old forest roads on water quality and wildlife habitat. Through our new Central Cascades Watersheds Restoration program we’re crafting a strategy for landscape forest and watershed restoration in heavily managed watersheds between Mount Rainier and the Alpine Lakes Wilderness. To defend national forests and other public lands, we convened a statewide network of activists to resist attacks on national monuments and generate resistance in Republican districts to harmful legislation.